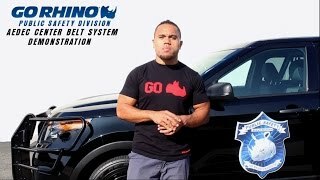 Lyndon Liti of Go Rhino Public Safety explains and demonstrates the benefits and features of the AEDEC center belt restraint system. 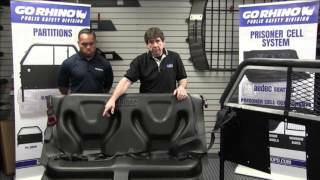 The False Floor from Go Rhino Public Safety Division is a great way to store weapons, electronics, and other equipment while saving space and retaining sight lines in the Ford Interceptor Utility. 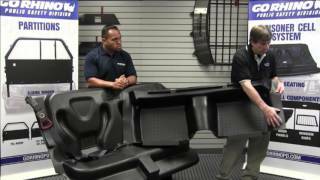 Jeff from AEDEC joins Lyndon in the Go Rhino Garage and goes over the installation steps for the prisoner seats.